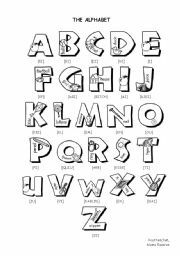 It can be used as a memory game or as a picture dictionary. 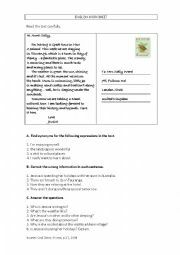 This is a text prepared for the 8th grade on the topic Environment. It has reading comprehension, vocabulary and grammar exercises. I joined the key of the exercises! This is a picture dictionary. It can also be used as a memory game. 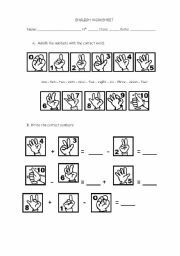 Tnis worksheet is for children to practise the numbers. 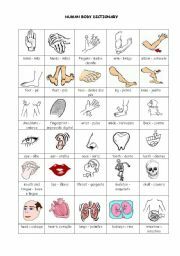 This is an informative sheet and can also be used as reading exercise and oral repetition in the classroom. 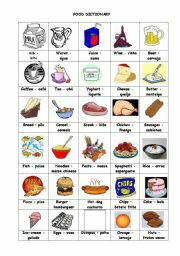 This printable can be used for small children who are starting studying English. 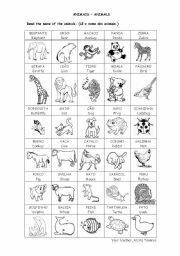 It can be used to learn the correct sound of each letter and at the same time to learn more vocabulary. The students will learn the name of some common toys. 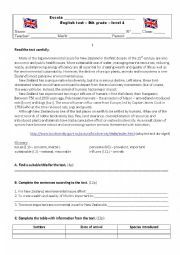 This is an easy worksheet. The students must label the pictures. It has vocabulary related to clothes and accessories and also about patterns. This is a powerpoint useful to teach new vocabulary or to do some revisions.